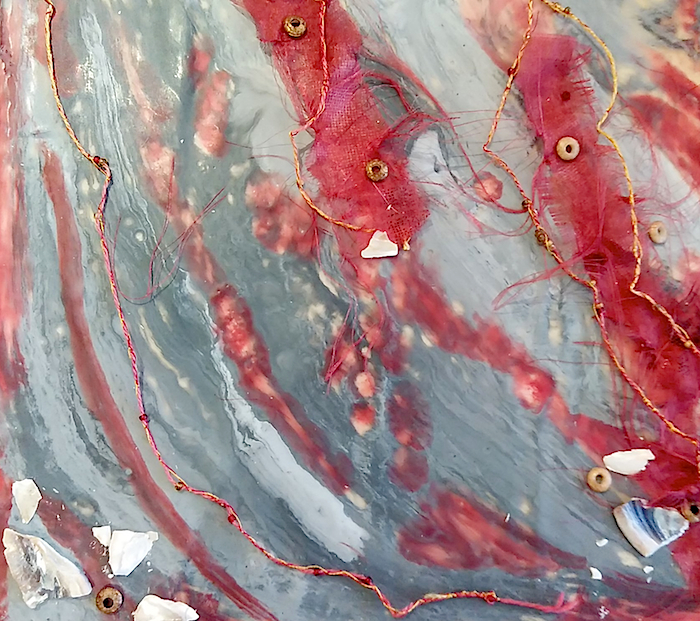 I have been intrigued by encaustic wax paintings. This is a very old art form that used by the ancient Greeks and Romans. 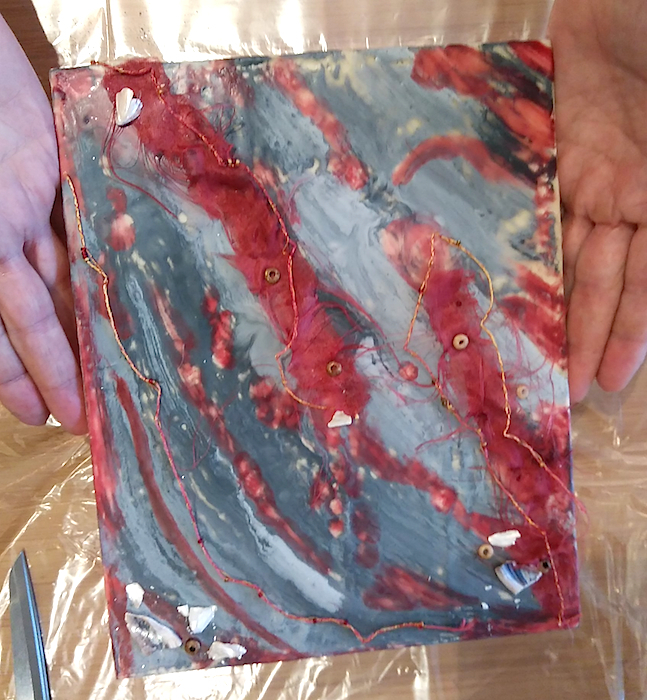 The Yellow House Gallery in Toronto offered a class on this art form as well as photo image transfer. 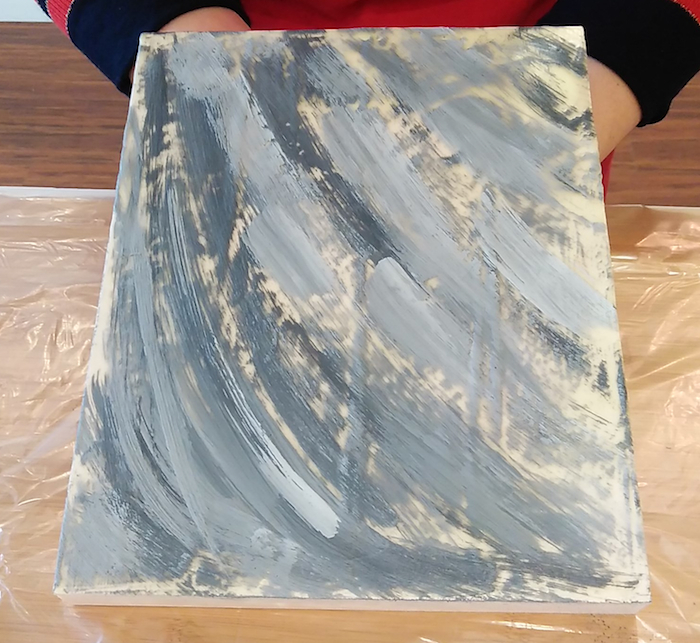 I signed up to take this afternoon workshop and had so much fun! A mixture of beeswax and damar resin are melted together and applied to cradled birch panels. Two coats of wax applied to the wooden board. Both processes begin with this step. For the photo image transfer, a photocopy is placed right side onto the wax and pressed into the wax with a smooth object. The ink transfers into the wax and then the paper is removed by carefully washing it off. This photograph was taken in Italy of a stone house. I love the texture and colours. The paper film is not completely removed yet. At this stage of the photo transfer there are still bits of paper left to be removed, but I can see the what the finished piece looks like and am so happy with it. 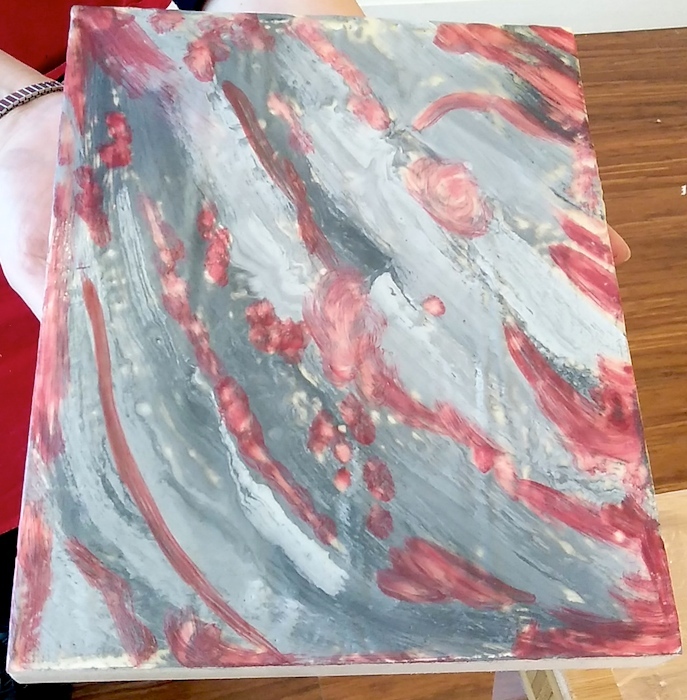 The second piece involved painting with coloured wax. I also wanted to incorporate some textiles into the artwork. I brought a small amount of embellishments that I thought might work, including silk fabric, beads, bark, shells and beaded embroidery floss. 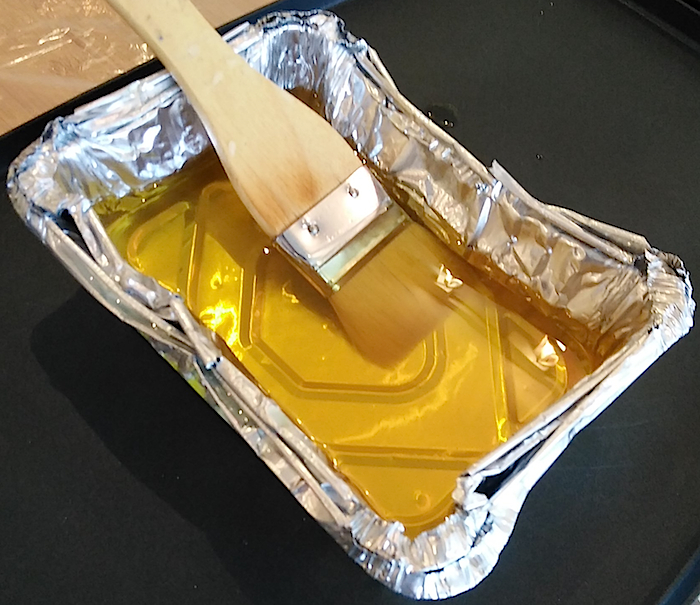 Two layers of clear wax are applied to the cradled board first and then the coloured wax. 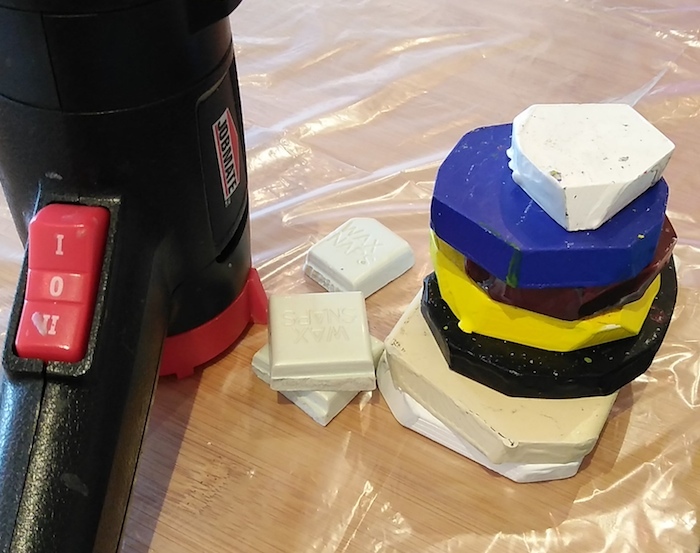 Here I’ve added my first layer of colour by mixing black and white wax. Second layer of colour is a beautiful shade of red, thinned by clear wax. Stripes of silk and embellishments were positioned and a layer of wax applied. A beautiful pearlescent powder was used to highlight certain areas. 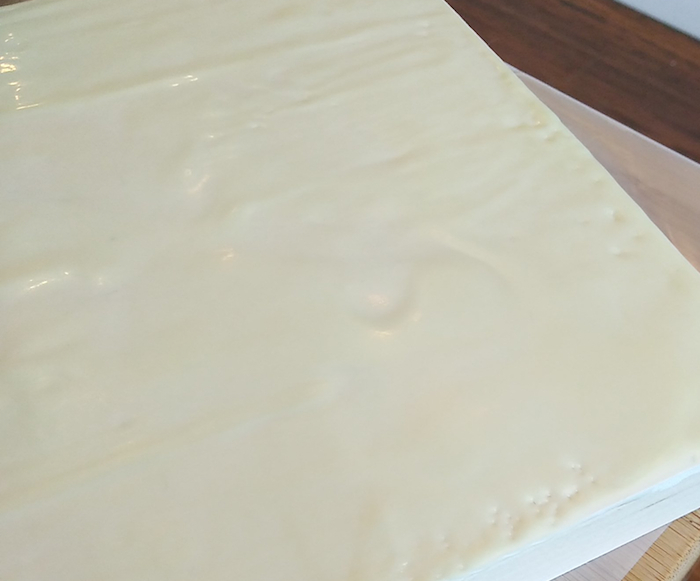 After a few days of curing, the wax will dry clear. Close-up of the embellishments, texture and colour. 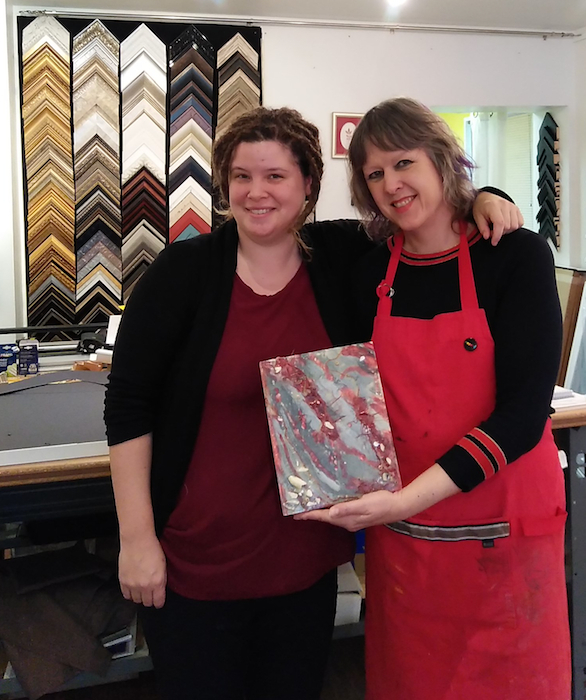 Christina Kostoff owner and director of the Yellow House Gallery and Vashty Hawkins artist and teacher holding my first encaustic painting. 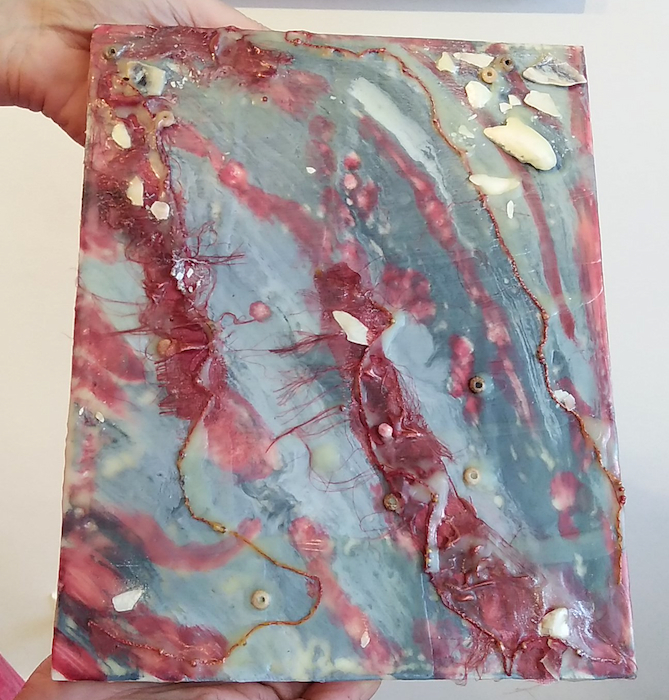 Vashty will be teaching more encaustic and photo image transfer classes this winter at the Yellow House Gallery, visit the website for more information. Great blog post Doris and I am so glad you enjoyed my workshop. I loved your piece and also how you explained and documented each step of the process! May I share this on my social media (Facebook, Twitter etc) pages? interesting post Doris, I learned a lot. Glad you enjoyed the workshop. 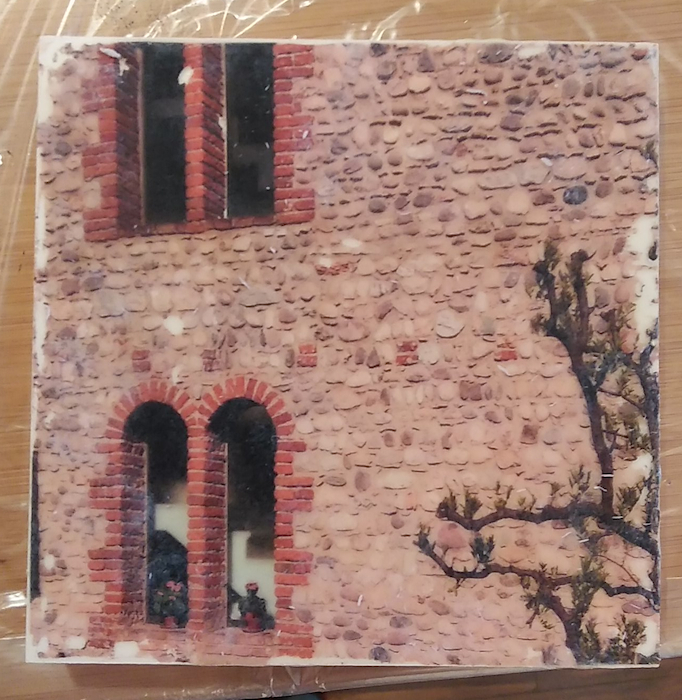 Will you be doing more encaustic painting/fabric collage? 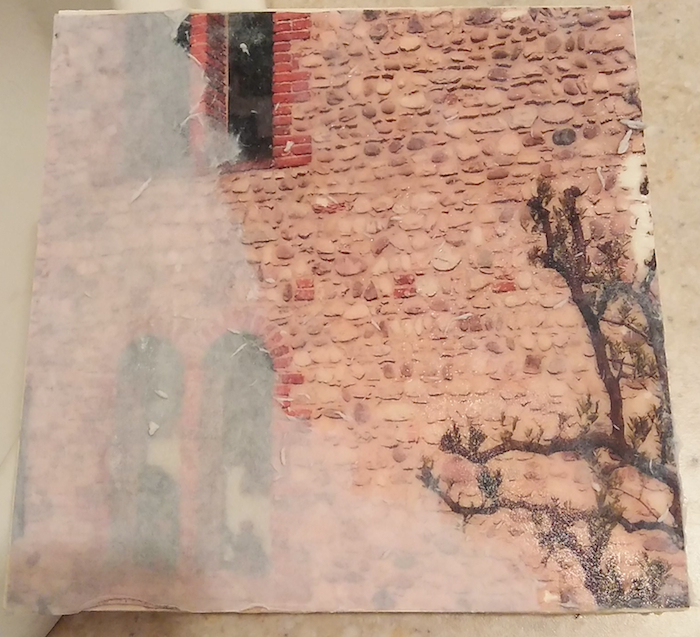 Yes, I hope to do more encaustic painting. Such a fascinating process. I like that I can add cloth and other embellishments. Another reason to keep small bits of my hand dyed fabrics!